Listeners of all ages have followed and cherished Anne Lamott's funny and perceptive writing about her own faith through decades of trial and error. And in her new audiobook, Help, Thanks, Wow, she has coalesced everything she knows about prayer to these fundamentals. 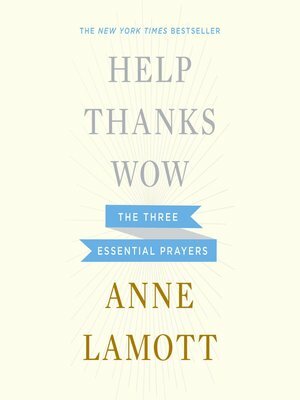 Insightful and honest as only Anne Lamott can be, Help, Thanks, Wow is the everyday faith audiobook that new Lamott listeners will love and longtime Lamott fans will treasure.